This article won't show you all the possible settings in Thunderbird, because there are so many. Thunderbird is one of the most powerful & flexible email clients available at the time of writing, especially if you use IMAP4 (with VPOP3 Enterprise). The instructions below are for Thunderbird version 3.0, but the settings should be similar in later versions. Earlier versions just have a manual setup procedure, so you can skip some of the steps below. Note that the below settings are only suggestions, and there are many other ways you may want to set things up, but these are a good starting point. 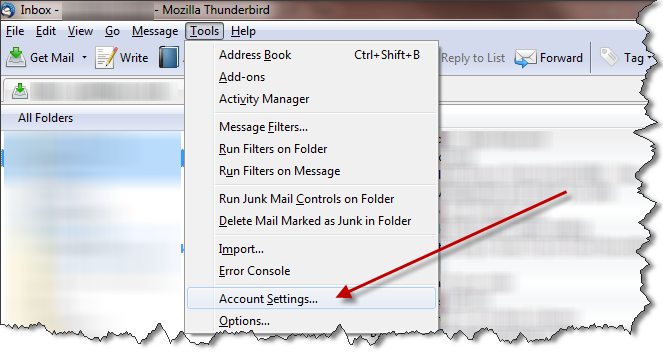 Note that Thunderbird will continue trying to find your mail servers. The actual result will depend on many factors, so we can't give definitive steps here. 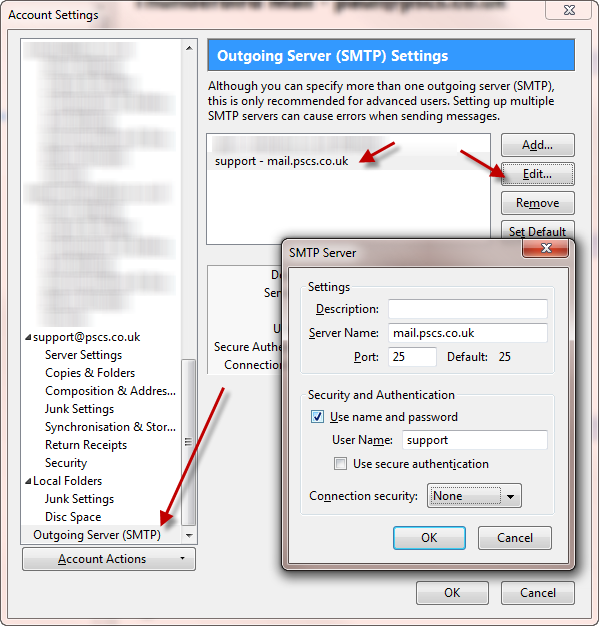 For instance, in our case, we do have a mailserver called 'mail.pscs.co.uk', but that isn't the one we want to use, so, although it says it “found the settings” it found incorrect ones! 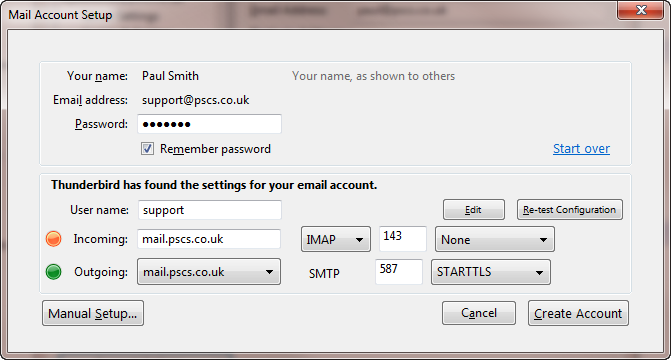 On the 'Incoming' row, choose the relevant method - POP3 or IMAP4. If you have VPOP3 Basic, then you must use POP3. 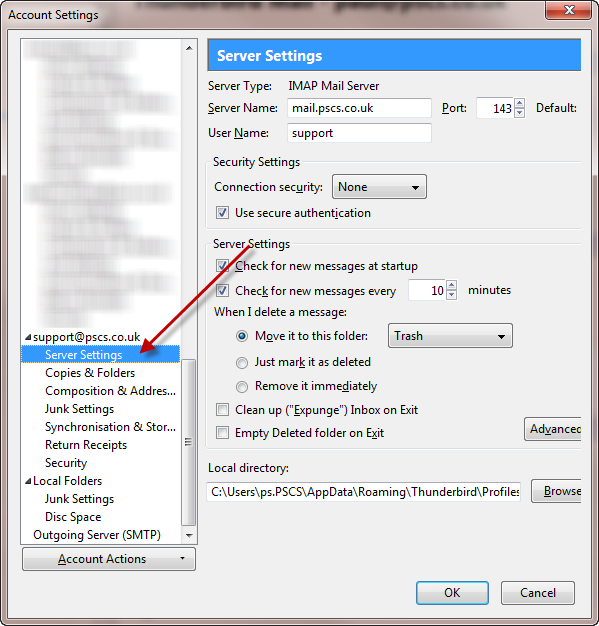 If you have VPOP3 Enterprise, you can use either method, but we recommend you use IMAP4. 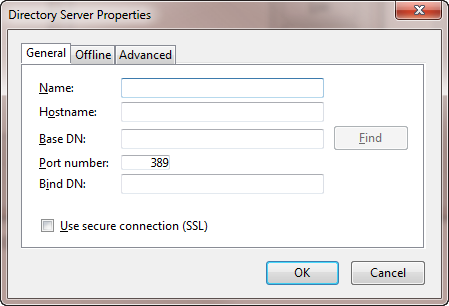 In the Server Name box put the IP address of the VPOP3 computer. In Port put the port number for the VPOP3 SMTP service (usually 25). Normally, but not always, you will want to check Use name and password and enter your VPOP3 username. (Whether you will need this depends on the VPOP3 settings). 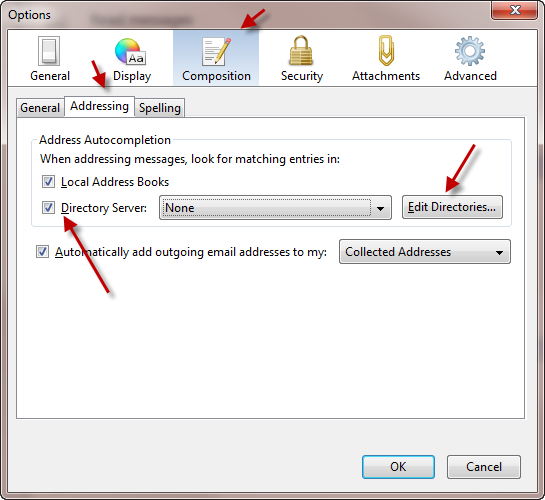 In the box next to the Directory Server checkbox in the main Options page, you may want to select the new directory service you have created, but this is optional.